INDIANAPOLIS, Oct. 3, 2018 – Three U.S. gymnasts are competing in the 2018 Youth Olympic Games in Buenos Aires, Argentina, which officially begins with the opening ceremony on Oct. 6. Gymnastics begins on Oct. 7 with the multi-discipline event, which serves as the qualification round for the finals for each discipline. The Games will be broadcast on the Olympic Channel every night, beginning with the Opening Ceremony on Oct. 6. In addition, OlympicChannel.com and the Olympic Channel app will offer a 24/7 channel with live streams, replays and highlights. 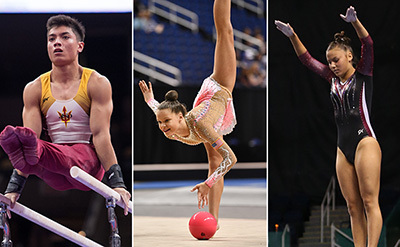 The three U.S. gymnasts are Brandon Briones of Gilbert, Ariz./Aspire Kids Sports Center, men’s gymnastics; Elizabeth Kapitonova of Staten Island, N.Y./Isadora; and Alyssa Oh of Rocklin, Calif./World Elite Gymnastics, trampoline. In addition to the traditional disciplines of men’s and women’s gymnastics, rhythmic gymnastics, acrobatic gymnastics and trampoline, the Youth Olympic Games has a multi-discipline event. 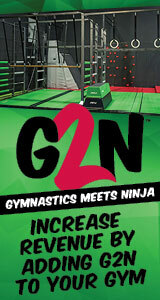 All gymnastics events will be held at the America Pavilion in Youth Olympic Park. The formats for each discipline are identified below. In the multi-discipline event, gymnasts will compete on multi-national teams. Each team includes one mixed pair, acrobatic gymnastics; three men and three women, artistic gymnastics; three rhythmic gymnasts; and one man and one woman trampoline gymnasts. Multi-discipline event scoring adds the rank achieved by each gymnast/mixed pair in their respective disciplines. The team with the lowest score wins. Artistic gymnastics includes all of the men’s and women’s events: men – all-around, floor exercise, pommel horse, still rings, vault, parallel bars and horizontal bar; and women – all-around, vault, uneven bars, balance beam and floor exercise. The top 18 in the all-around rankings advance to the finals, and the top eight on each event qualify to the event finals. Acrobatic gymnastics features the mixed pair. In the qualification round, all 12 mixed pairs perform dynamic, balanced and combined routines. The top eight advance to the finals, where each performs one combined routine. For rhythmic gymnastics, athletes perform all four events – hoop, ball, clubs and ribbon – in the qualification round, and the top eight in the qualification rankings advance to the all-around final. Trampoline has competition in both men’s and women’s trampoline. In the qualification round, each gymnast performs a voluntary routine with 10 skills, including set requirements, and a second voluntary routine of 10 skills with no limitations. The top eight advance and perform one voluntary routine with 10 skills.